After the release of their last album, Riverlust, the members of the High Divers seemed destined to rise to the top of the musical heap in Charleston. That album was full of great, catchy original music performed by young, talented, and enthusiastic musicians. It sat in my car’s CD player for over a year, providing a daily driving soundtrack that never got old. The band’s live show was terrific as well, with bandleader Luke Mitchell (vocals and guitar), Mary Alice Mitchell (vocals and keys), Kevin Early (bass), and Julius DeAngelis (drums) bringing a power and professionalism to their live act that was usually reserved for bands a decade older than The High Divers. 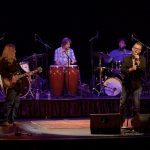 Yes, things looked promising indeed for the band that got its start in Hilton Head, and it seemed that nothing could stop that momentum. Now, typically when a piece on an entertainer or band starts out like it just did above, the next paragraph usually begins with something along the lines of, “and then tragedy struck.” Very thankfully, that is not the case here, but sometimes the difference between tragedy and an event that puts things in perspective is separated by the width of a human hair. Such is the case in this story. While touring in support of Riverlust last June the band’s tour van was broadsided by a tractor-trailer, causing the van to flip on its side. When the dust cleared, a headcount found everyone to be alive, albeit banged up pretty well. Singer and keyboardist Mary Alice Mitchell wound up with a broken hip, and the tour was understandably cut short. There was a period of downtime as the band healed up and plotted their next move. Happily, that next move arrived this month with the release of a new album Chicora. 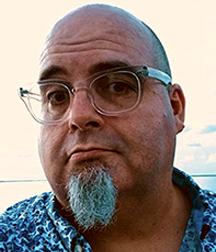 If Riverlust was the band’s way of announcing its arrival to the Lowcountry music scene, then Chicora is the declaration that its going to take more than a runaway 18-wheeler to knock these folks out of the game. Every bit as catchy and powerful as its predecessor, Chicora (named for the neighborhood in North Charleston where the band makes its home) also has a running theme of love and devotion running through its soul. The album kicks off with Fall in Love so Fast, which features a foot-tapping, almost Motown-like tempo over which Luke declares, “I never thought I would fall in love…so fast!” Longtime sweethearts Luke and Mary Alice also tied the knot last year, which might provide a hint at the thematic direction of the new record. Also very effective on that opening track is the trumpet work of Clay White, a recent and welcome addition to the band. The next track, Weighing on My Mind, might just be the most perfect rock song the band has turned out yet. 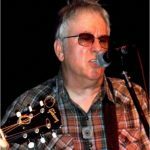 With a rhythm that calls to mind work by such luminaries as Tom Petty and Marshall Crenshaw, the groovy rock track finds Luke Mitchell’s vocals being put to perfect use as he goes from a growl while singing about “these days of deja vu” to a soaring tenor on the “don’t you knows” in the chorus. It’s as perfect for radio airplay as a song ever was, and it’s no coincidence that Chicora is now purposefully stuck in my car CD player the same way Riverlust was. Other standout tracks include the Talking Heads-like Not Sharing, the very Wilco-esque Waiting for Your Love, and the slow and sultry Never Let You Down, which again benefits from Luke Mitchell’s seasoned voice, which I sometimes have to remind myself is coming from the mouth of a man only in his twenties. After Weighing on My Mind, my next favorite song on Chicora has to be Side Man, on which Mary Alice Mitchell steps up for lead vocals. The song, which the band says was largely inspired by a series of divorces in their hometown of Hilton Head, has a combination vibe of First Aid Kit and Fleetwood Mac from around that band’s Rumors era, and Mary Alice absolutely nails it. That song also should be considered for radio airplay. This is a band perfectly firing on all cylinders, and turning out some of the best music I’ve heard from a local act in years. 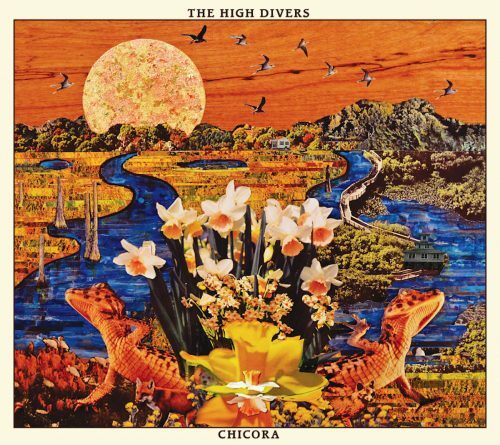 Folks in the Lowcountry can get a taste of The High Divers’ excellent live experience this Friday, March 23 when The High Divers play at the Music Farm in Charleston to celebrate the release of Chicora. Hannah Wicklund & The Steppin Stones and 2 Slices open the show. Now is your chance to see these guys before they blow up big and you have to cough up annoying Ticketmaster surcharges the next time you want to see them at your local ‘enormodome’. Chicora is an amazing achievement for a band to release after an album of front to back musical goodness such as Riverlust. With this latest effort it seems that The High Divers have shown that lightning can indeed strike twice in the same place…or band, as it were.